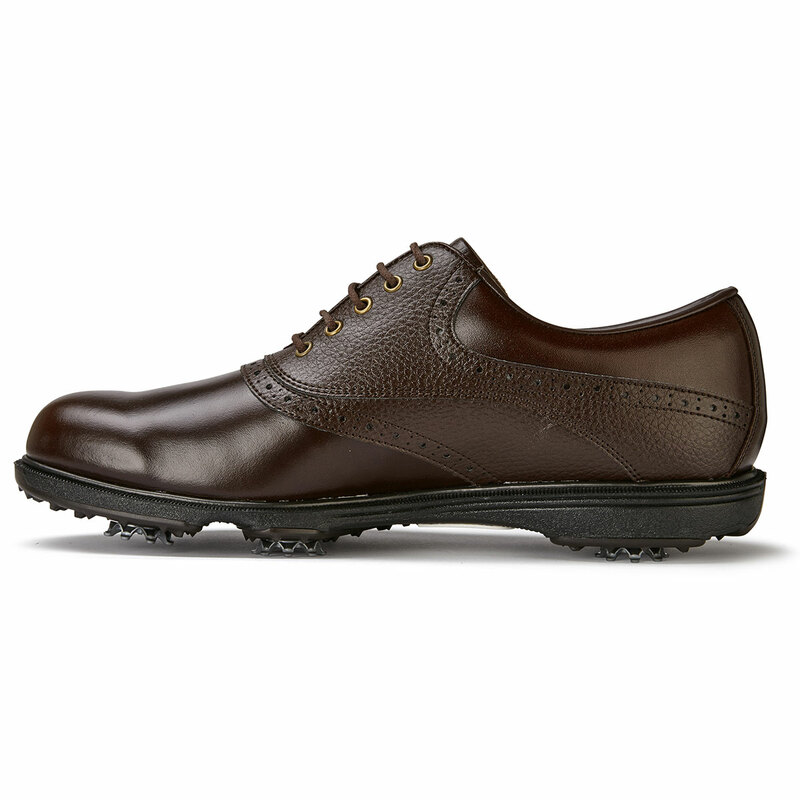 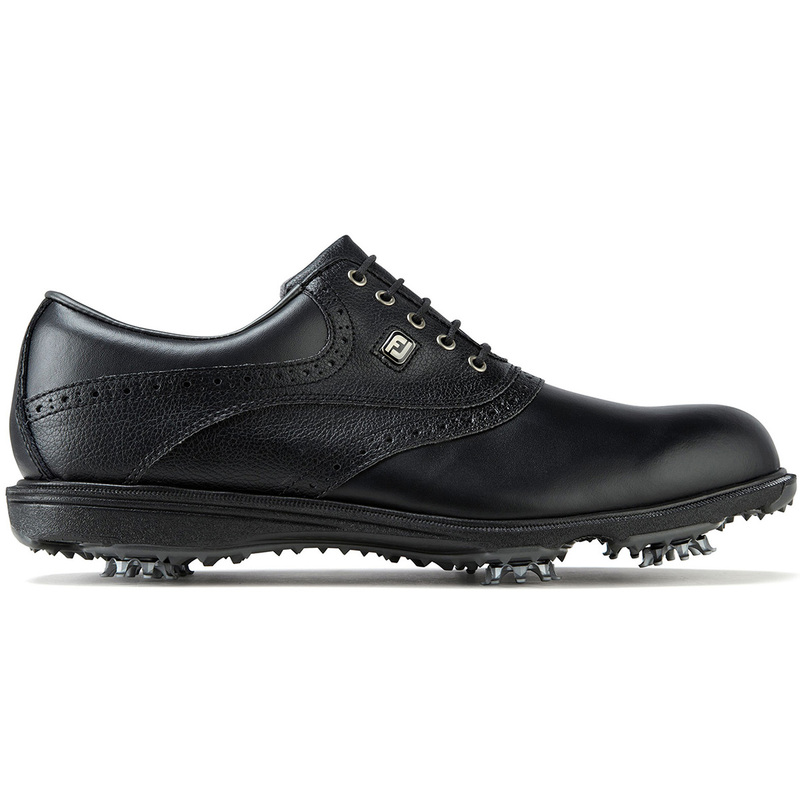 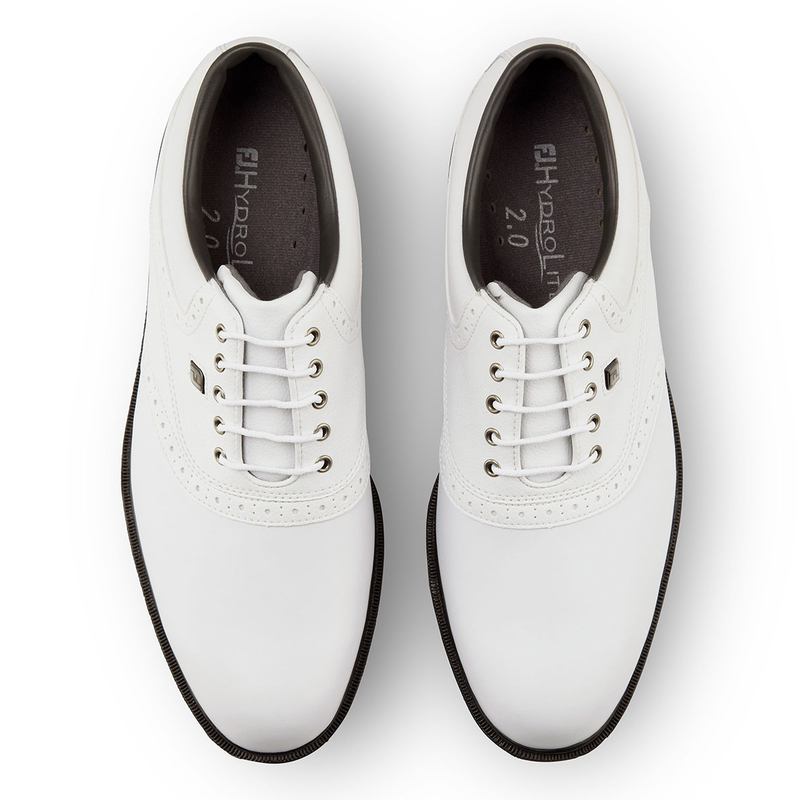 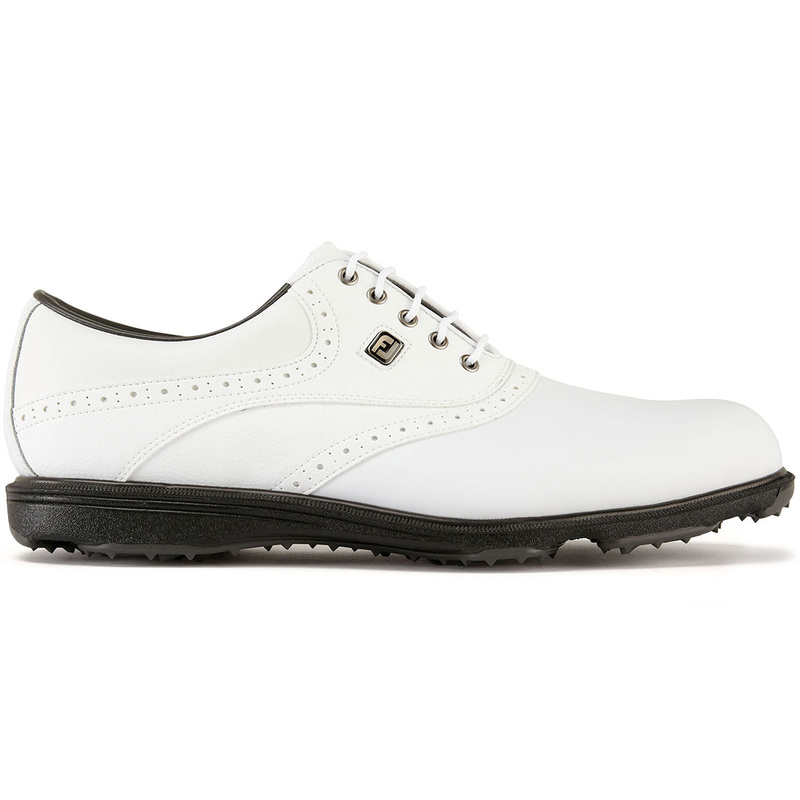 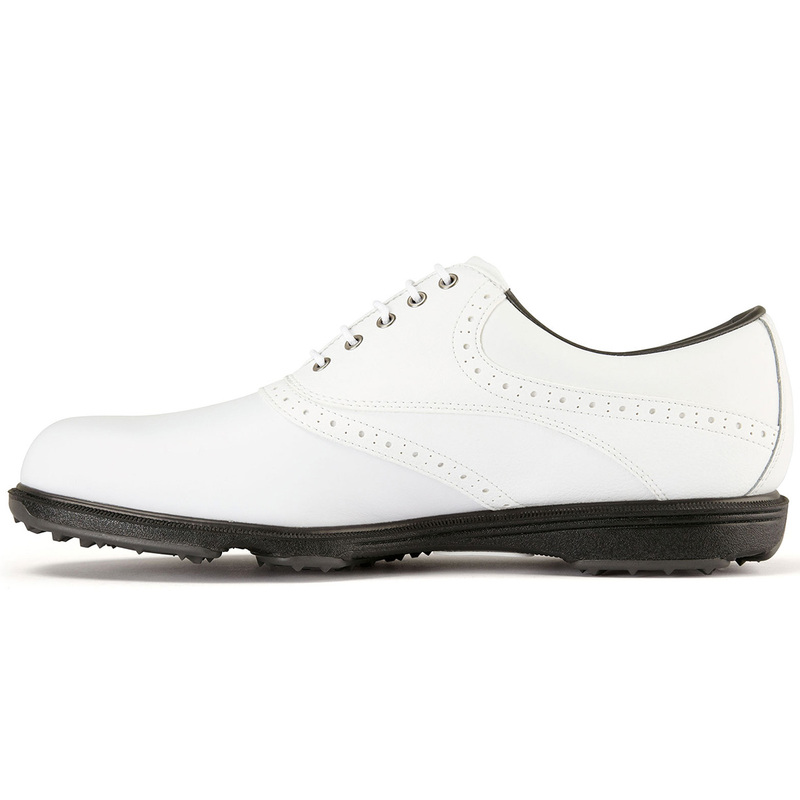 If you like your traditional style golf shoe and want waterproof protection combined with excellent comfort, then look no further than these incredible shoes from FootJoy. 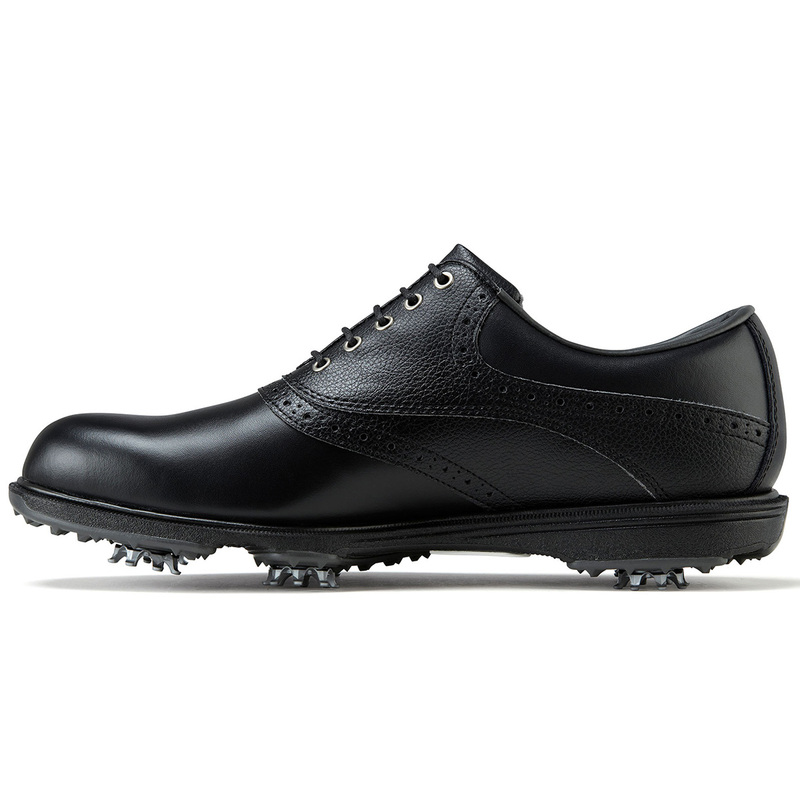 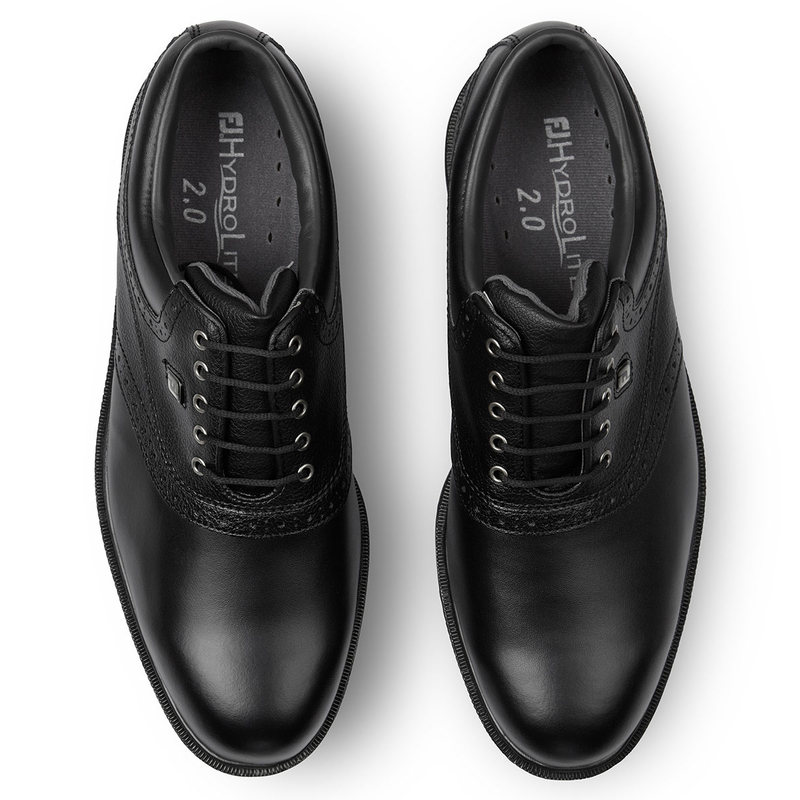 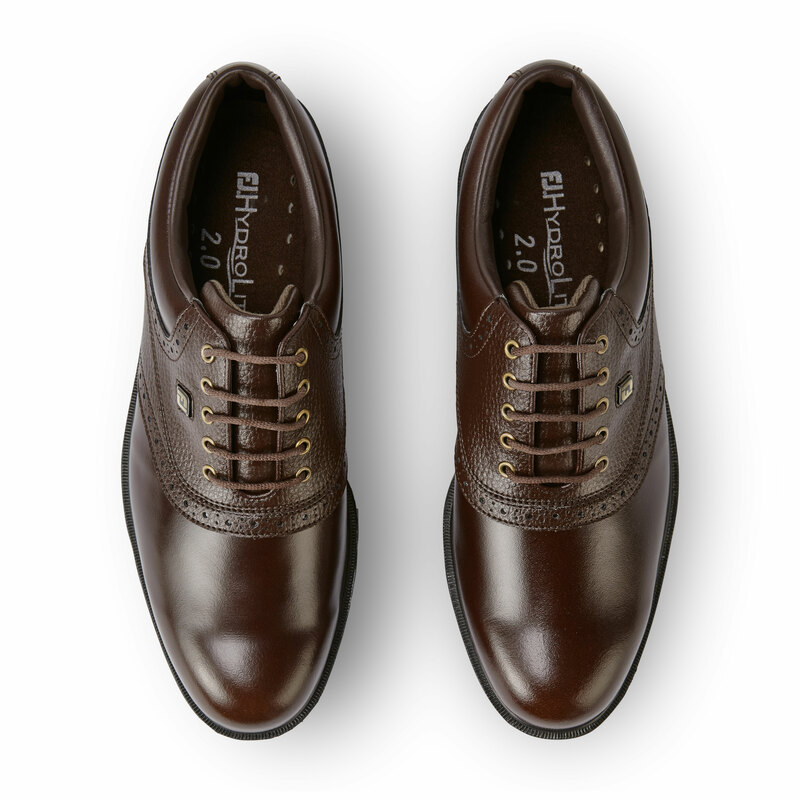 Thanks to the Laser last, these shoes benefit from a full rounded toe character, standard fit across forefoot and instep, with a slightly narrow heel. 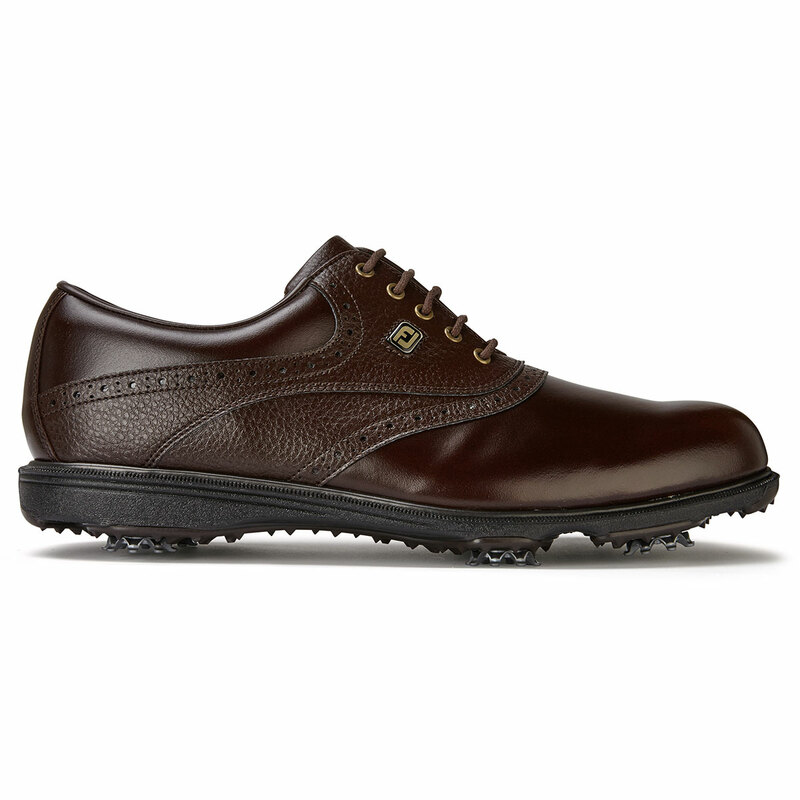 The full grain upper is soft and breathable combined with waterproof performance. 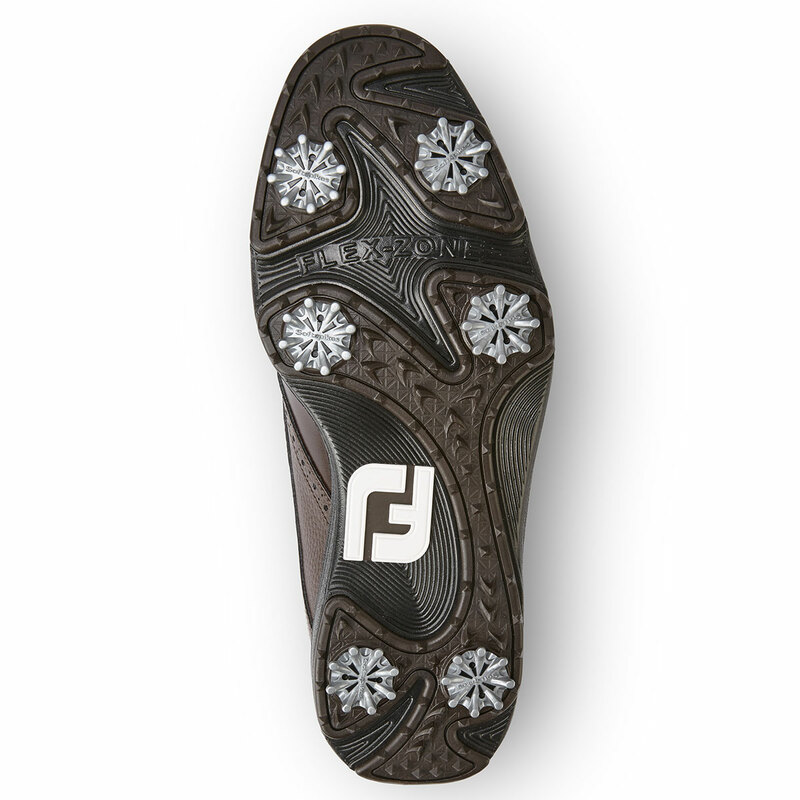 These shoes come complete with Pulsar cleats. 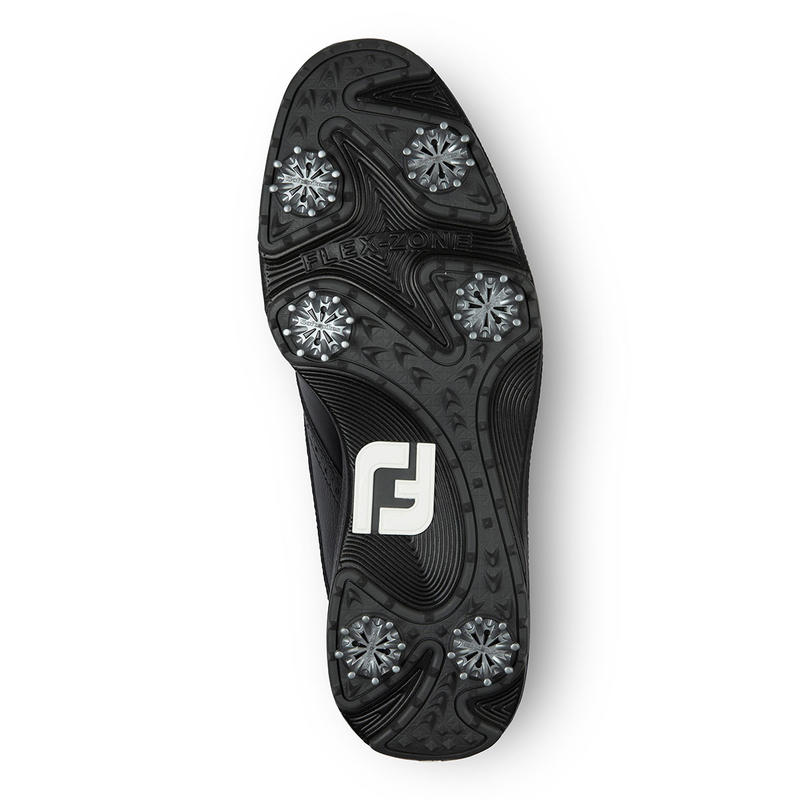 Pulsar cleats benefit from the same turf grip and walking comfort advantages of Black Widow but also have an additional radiused legs for more durability and cleat webbing for easier cleaning. 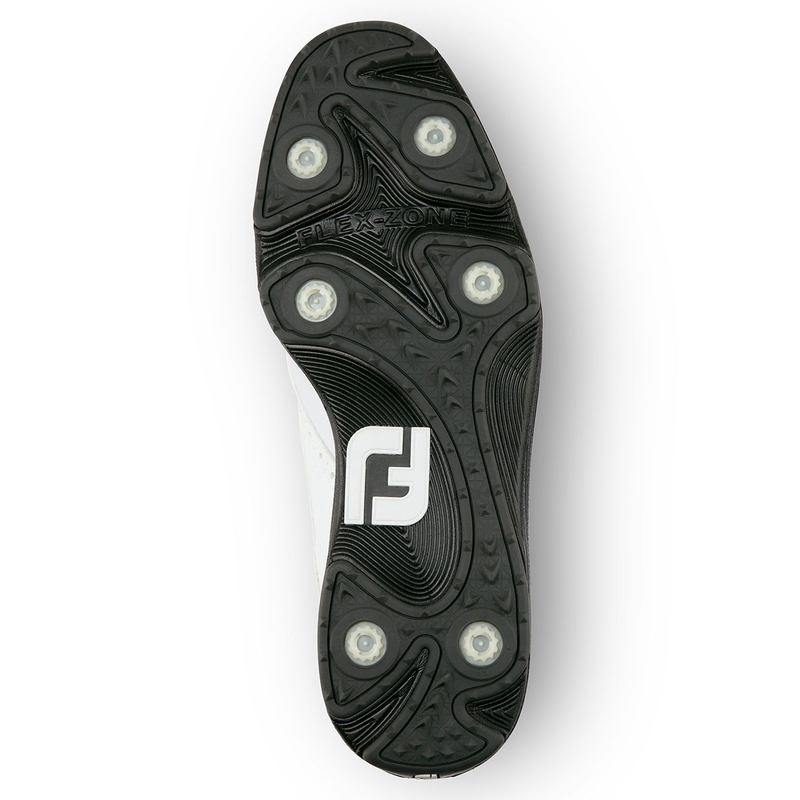 These cleats work with the TourLock with benefit from unmatched cleat/receptacle retention assuring that these cleats remain in the shoe under the toughest of conditions.